5 Myths about C. diff. The answer is yes. C. difficile can be very contagious. C. difficile is spread from people who are infected to others through touch, from contact with contaminated objects or surfaces (like cell phones, shopping cart handles, gym equipment, etc). It is very important to wash your hands well after using the bathroom, as C diff resides in your stool. If you touch a contaminated surface and then eat (without washing your hands) you can ingest the bacteria which could then cause an infection. You become sick by ingesting the bacteria. Some people are also carriers of C. diff, and they may not have any symptoms of the infection. Those who are especially vulnerable are the elderly, who often have weaker immune systems and complicating health problems. 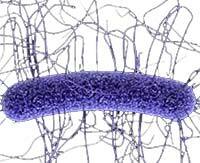 C. difficile is a bacteria that spreads through something called “spores” (an inactive form of C. diff). The spores of C. difficile are hardy and can persist for long periods of time, making it easier for the bacteria to be spread. These spores are easily ingested by touching your mouth after you’ve touched a contaminated surface or object. Once C. diff spores find their way into your gut, can turn into the active form of the bacteria and cause infection. How do you clean and protect against C. diff? People who have active C. difficile infections should use special precautions to help prevent spreading the bacteria to others. Good personal hygiene is a crucial part of protecting yourself and family, as is proper and consistent cleaning of surfaces. Be sure to wash your hands after using the bathroom with warm soapy water. Beware that common alcohol-based hand sanitizers are not effective against C. difficile spores. As C. diff creates dormant spores, you’ll also need a good sporocidal cleaner for surfaces. Learn more here about C diff infection control. How many people get C. difficile infections each year? According to the Agency for Healthcare Research and Quality (AHRQ), 301,200 people with CDAD (C. diff. diseases) were discharged from U.S. hospitals in 2005 alone. In that same year, 3100 people died directly from CDAD. CDAD was also a contributing factor to the deaths of 26,600 people discharged from the hospital in 2005. The number of C. Difficile infections has been increasing rapidly over the last several years, with the infection rate doubling between 2001 and 2005. According to a new 2010 study, the increasing trend in C. difficile infections shows no signs of stopping. At the 2010 International Conference on Healthcare-Associated Infections, a new study revealed that the rate of C. difficile might overtake the rate of the common superbug MRSA. The study found that Methicillin-resistant Staphylococcus aureus (MRSA) rates have been decreasing due to improved prevention efforts inside hospitals. However, the rate of C. difficile infection has increased each year since 2007. Two thirds of infected hospital patients are elderly and the infection is most common in the Northeast part of the U.S. But the infection is showing up more in children and in community settings. C. difficile is only found in hospitals, right? Not anymore. While most people get C. diff from antibiotic treatment or medical treatment at a hospital, there is an increase of C. difficile infecting otherwise healthy people who have not visited a hospital recently. According to the CDC, 20% of all C. difficile infections are community-associated, originating outside of healthcare environments. As you’ve probably heard, C. difficile bacteria are now in our schools, our gyms, and everywhere else that people are. That means it’s much more important that you be prepared with solutions that work, and have a game-plan in place on how to reduce your risk of becoming infected. More on this in a bit. 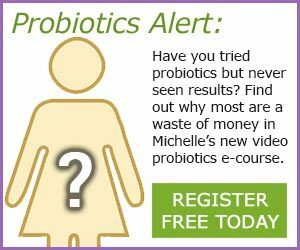 I cover more details about C diff and supplements that have helped others recover. Be sure to get my free report to find out much more, including a natural supplement program (you’ll see it on the left sidebar). I’ve also have a new 3-step program outlined in my book on C. diff infections and you can find out more about that here.